It’s been such a wonderful week so far…reconnecting with my dear friend Jane in her home on the New Jersey shore…we’ve known each other since we were two years old and have spent the last few days talking and hugging and talking some more! On Wednesday, we walked on the boardwalk, listened to the waves crashing on the beach. and shared food I haven’t had forever like hot dogs and pizza and fries. Which made me think of NO PEACOCKS!, a brand new picture book by one of my favorite kidlit authors, Robin Newman, about a bunch of birds who want to get some variety in their diet. And thanks to the lovely Robin, we have a giveaway of a copy of this wonderful book! Every day, Phil, Jim, and Harry are fed sunflower seeds by the staff who care for them at The Cathedral Church of St. John the Divine. But one day, they decide they’re sick of them. They make a break for the New York City streets in search of pizza or Chinese takeout. But everywhere they go, they’re told “No peacocks!” So they try to get an ooey, gooey, delicious meal closer to home. But how are they going to sneak into the school’s dining hall and get their wings on the school’s world-famous mac ‘n cheese? A little plotting, some stolen disguises, and help from the students, and mission mac ‘n cheese is a go! Will the peacocks finally get their mac ‘n cheese? Or will their cover be blown, forcing them to fly the coop? Inspired by the real-life beloved, celebrity birds living on the grounds of The Cathedral Church of St. John the Divine, and brought to the page in bold, bright style, No Peacocks!is a hilarious romp and a perfect read-aloud. 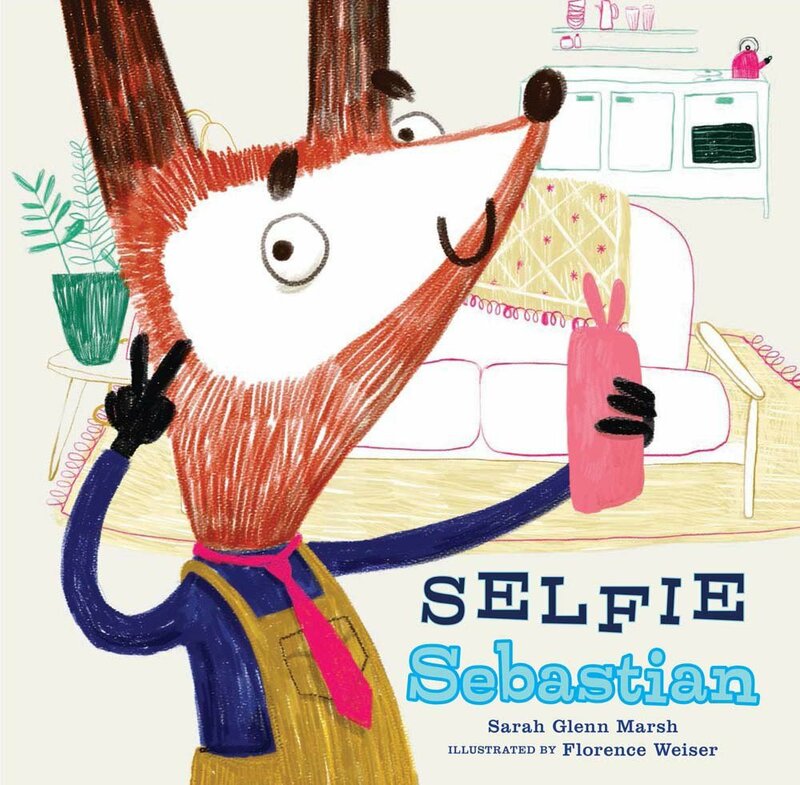 Kids love funny books…I love funny books…and this is a very funny book! Great diversity in the school children! Bold bright colors will engage kids from the first page to the last! And here is some more info about the book, straight from the author’s mouth! My latest book, No Peacocks! A Feathered Tale of Three Mischievous Foodies, illustrated by Chris Ewald (Sky Pony Press) flies onto bookshelves on 9/4. This is Phil. He’s a white leucistic peafowl. Or Harry or Jim. They’re your traditional blue-green peacocks. Phil, Jim, and Harry reside on the grounds of The Cathedral Church of St. John the Divine on the Upper West Side of Manhattan. From the moment I saw them, I knew I wanted to write a story about them. But it wasn’t until I was attending a meeting for The Cathedral School’s book fair, when my son was a student, and someone announced—Did anyone leave a stroller on the porch with a sandwich? Because one of the peacocks just ate it—that I knew the kind of story I was going to write. No Peacocks! is a fictional tale about Phil, Jim, and Harry’s quest to taste the school’s very famous mac ‘n cheese. With a little plotting, some stolen school uniforms, and help from the students, Mission Mac ‘n Cheese is a go! No Peacocks! is a cheesy story of friendship and teamwork, with a mild sprinkling of fowl behavior. Every day tour buses line up along Amsterdam Avenue from 110th Street to 112th Street to see the three celebrity peacocks and visit the cathedral (which also happens to be where Madeleine L’Engle had worked as the librarian and writer in residence). No Peacocks! is a quintessential New York story. There may be Eloise at The Plaza Hotel on the east side of town, but there’s no doubt that the peacocks at The Cathedral Church of St. John the Divine are THE celebrities on the Upper West Side of Manhattan. WOW! Don’t you love getting a behind the scenes look at how/why a book came to be? Is this not fantastic? And just think…one lucky person is going to win a copy of this fascinating book!!! Make sure you leave a comment to be entered into the giveaway. 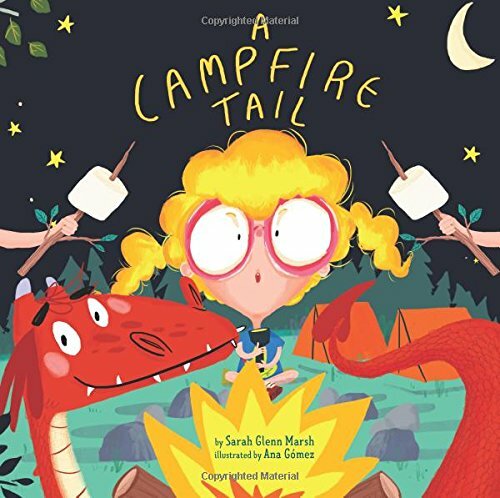 And for more picture book reviews, please hop over to Susanna Leonard Hill’s website. I hope you will all come back tomorrow to visit with author Robin Newman who is stopping by to chat with us on Will Write for Cookies. Please don’t forget to leave a comment to be entered in the giveaway…and remember that book reviews on sites like Amazon and Goodreads are one of the best gifts you can give to your favorite authors. The #50PreciousWordsForKids International Writing Challenge is now OPEN! Last month, I hosted a challenge for writers. I invited them to create a story for children in 50 words or less. #50PreciousWords drew hundreds of participants. What amazed me was the incredible creativity that was unleashed by the restrictive word limit. Last year, one of the participants told me that she and her six-year old daughter had an amazing bonding experience. Seeing her mom writing, the little girl wanted to write a story also. And she did. And her mom shared it with me. It snowed a lot through the day. Pteranodon and her sister Teethless were bored. Pteranodon said, “I planned to go outside and it’s almost time for lunch. Oh it’s 11:00. Let’s go wake Mom and Dad.” “You’re right,” said Teethless. So they did. And then they ate lunch. And when my eight-year old grandson spent a day with me, he wanted to write one, too. One evening, when me and my mom got home from school, we tried to unlock our door. We heard a snap. Our house key broke! We went to our neighbors for help. They said, “Get a ladder and climb into a window.” We followed their advice. Unlocked the door. Home! Those two stories got me excited! As a retired kindergarten teacher, I’ve always been on a mission to help kids become lovers of books and reading. As many of you know, now I write for children. And I love it! My four debut picture books will launch next year. I thought, what if I could encourage kids to become the storytellers! And so, #50PreciousWordsforKids was born. #50PreciousWordsforKids coincides with Children’s Book Week, April 30 to May 6. EVERY CHILD in grades K-6 is invited to participate. This is an INTERNATIONAL challenge…there will be stories flying in from all around the world! Teachers can have each child write a story of 50 words or less…then the teacher and/or class will choose one story to submit. Perhaps this can be a whole-school event to celebrate Children’s Book Week. Or just a single class project. If several kids want to work together or the teacher wants to submit a collaborative class story, that would be lovely!. Parents are invited to encourage their children to write a story at home (whether or not they are homeschooled) – parents can email me one story per child. My only rule is that the stories must be emailed to me by a teacher or parent (or other child-care facilitator). Teacher receives a certificate to copy and present to each child who wrote a story. The challenge runs April 30 to May 6 and the stories need to be emailed to me: viviankirkfield@gmail.com by 11:59pm on Sunday, May 7th. I’ll enter those stories on my Thursday, May 11th blog post. All teachers and parents will receive a certificate that can be copied and personalized with the name of each child who participated. Please, dear readers, help spread the word by sharing this post on your social media channels and by reaching out to your teacher and parent connections. If you have any questions or need clarification, just email me: viviankirkfield@gmail.com. What a wonderful opportunity for kids to become the storytellers. …I’m excited to read all of their precious words.